Tourist arrivals to Sri Lanka are expected to cross the four million mark by 2020, doubling the record of two million arrivals achieved in 2017. Visitor numbers were led by arrivals from India and China, accounting for approximately 30 percent of the figure. Today, air connectivity and increased on-ground marketing in the key tourism markets will be key factors in achieving the 2020 target. In keeping with the growth projection and level of demand it is experiencing, Kuala Lumpur-based AirAsia currently operates a twice daily flight frequency on its Colombo-Kuala Lumpur route. In 2017, AirAsia saw a total of approximately 169,962 passengers carried via the route. With the Fly-Thru service, the offering allows travellers to connect to other flights with their baggage checked-through to the final destination without the hassle of immigration clearance at the transit hub in Kuala Lumpur. The optional service has flown about 77,800 passengers of a diverse nationality portfolio including travellers from Asean, China, Japan, Europe, UK and the US. 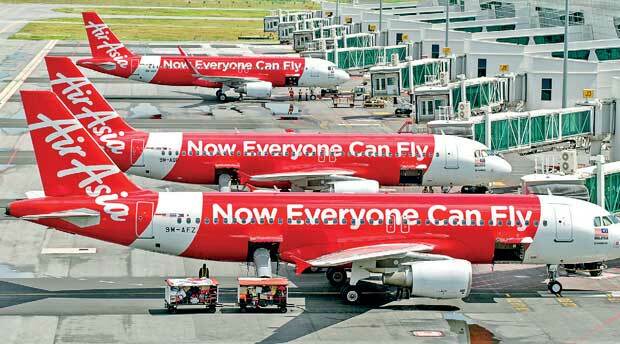 AirAsia redefined the low-cost carrier model in 2001 and has since gone on to be the benchmark for air travel. The airline secured several wins in 2017 including World’s Best Low-Cost Airline for the ninth year in a row (Skytrax); World’s Leading Low-Cost Airline for the fifth year in a row (2017 World Travel Awards Grand Final); World’s Leading Low-Cost Airline Cabin Crew (2017 World Travel Awards Grand Final) and more. The airline’s aim has always been on democratising air travel so that flying is no longer a luxury that few could enjoy, which is embodied in its tagline – ‘Now everyone can fly’, while offering the best service in the air. “We want to make air travel more affordable and convenient in Sri Lanka, and give our passengers a seamless experience that connects them to an extensive network of over 130 destinations in 26 countries. Our mission is to change the way how people travel and ensure that air travel will be sustainable for the long run, “he further stated. Lee added that AirAsia is exploring to set up a team to further develop the market for the year ahead and is always looking into the potential of partnering with local travel and tour operators to share the beauty of Sri Lanka to the world and of course, Sri Lankans to the many destinations that the airline operates in.